These fun woven placemats make perfect teacher or hostess gifts! They are a great way to experiment with stitches and use up scraps or jelly rolls. 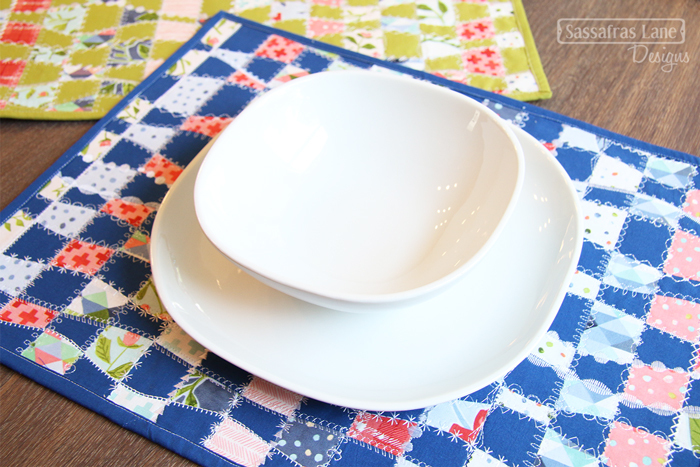 The Mel's Mats pattern walks you through the entire process and includes instructions for both placemats and a table runner. This year flew by! 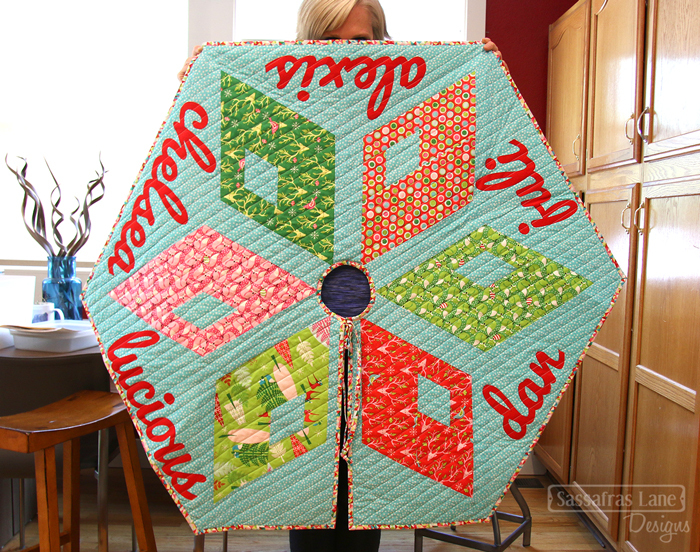 Did a close friend or family member have a new little one recently and you missed your chance to make them a quilt? 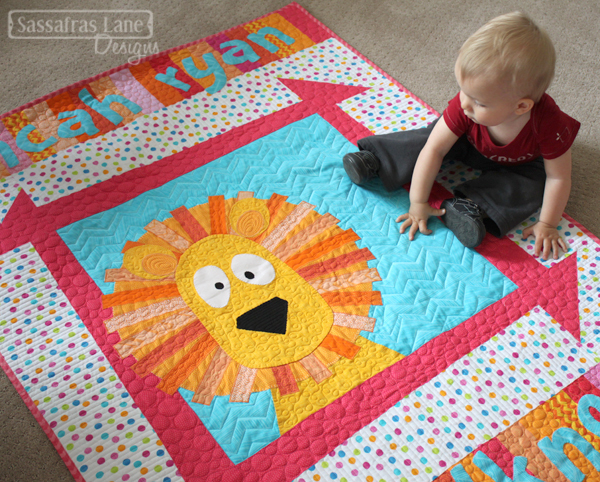 We have some fun, fast and personalizable baby quilt patterns that make amazing gifts! Check out Lullaby Lane, Zoey's Zoo, Park Place and Sammy's Safari. Everyone needs a few reusable tote bags to throw in the car for grocery runs! 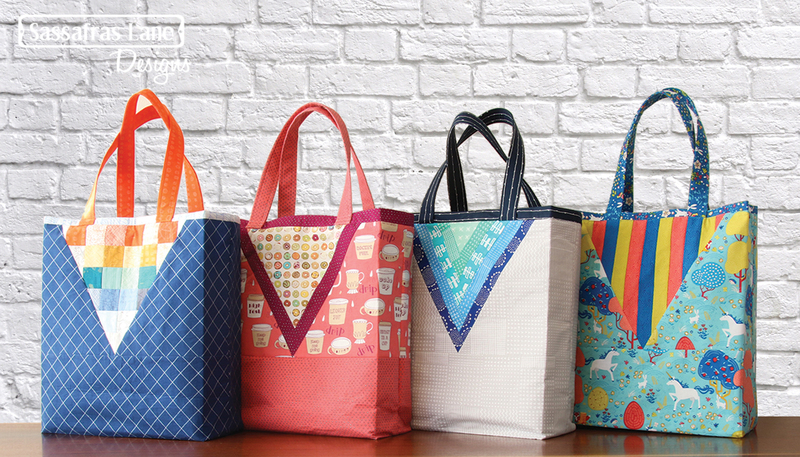 The Teddy Tote is super fast to sew and comes with multiple design options. Sew up a few for everyone you know. All of my friends and family are getting personalized totes from their favorite "go green" promoter (this girl!). Every tree needs a tree skirt! 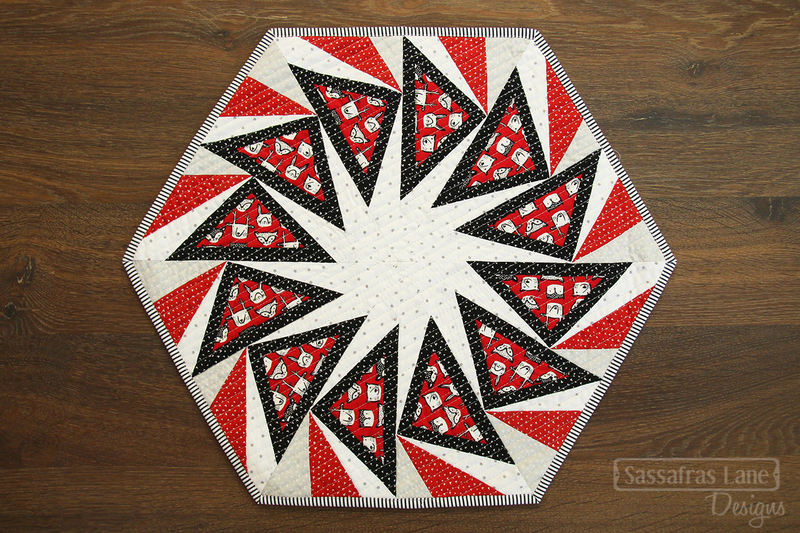 Kringle Crossing is a fast and modern tree skirt pattern that features diamonds large enough to show off your favorite holiday prints! The pattern includes full-size templates and the complete alphabet reversed and ready to appliqué. Add festive words to the edges or feature your family's names. Some of our patterns are little more intricate (ehem, I'm looking at you Empire Place), but a couple of them can be sewn in an afternoon! If you are wanting to make a bed quilt for someone special this year, check out our Wiley Way, Euclid Avenue and One Way patterns. They fly together and will definitely put a smile on that special someone's face. Every girl needs a new purse for the New Year! 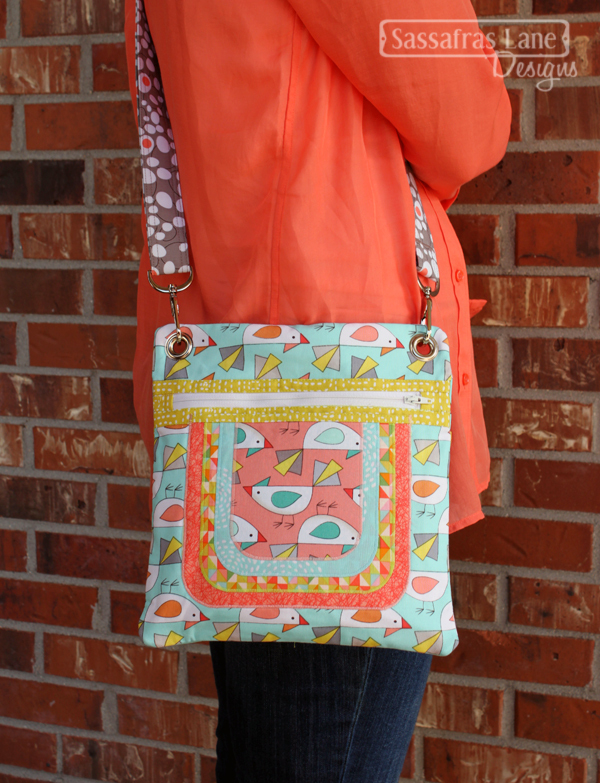 The Cassidy Crossover is quick purse that can adapt to anyone's style! Not to mention, this is the perfect size for everyday outings and extravagant travels! Be sure to grab a hardware kit to avoid hunting for the perfect hardware up and down the aisles of a craft store. 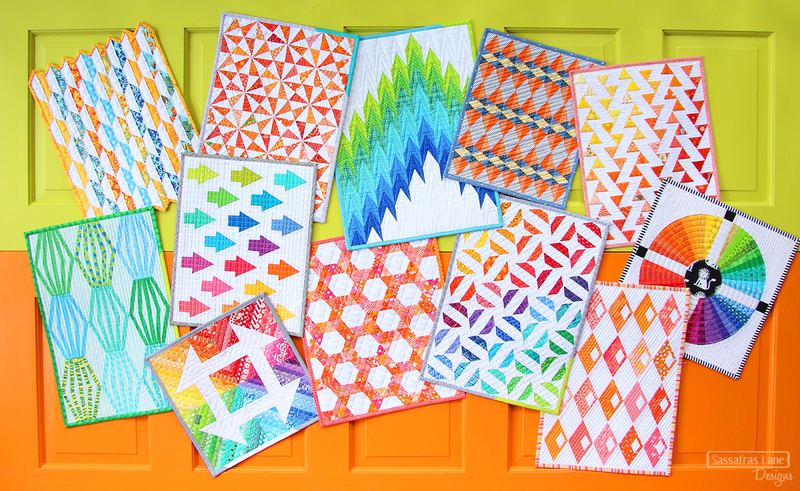 Mini quilts are fun and fast to make a bring a little pop of color to the walls of craft rooms, dorm rooms and nurseries! They also look great on top of tables with a vase centered on top. We have 12 different mini quilt patterns - Mini Diamond Detour, Mini One Way, Mini Firelights Lane and Mini Lantern Lane are some of quickest! 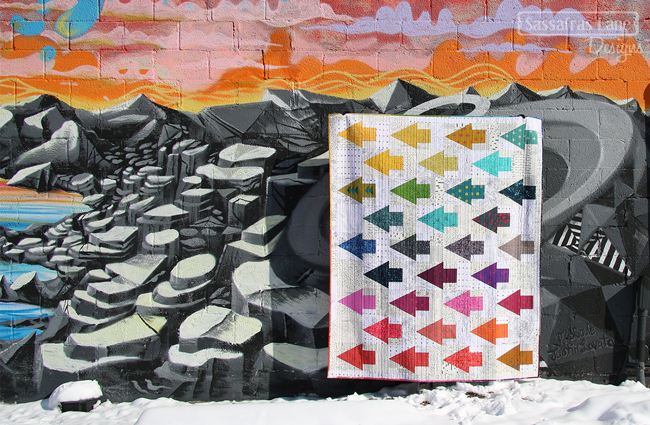 I am toying with the idea of making the Mini Diamond Detour in some Christmas colors... maybe this week! These hexagonal blocks make great last minute gifts! The Arcadia Avenue blocks can be used a table toppers or wall decor. Match the colors to someone's dining area or create a festive topper that they will want to display every year. If you get any of these made before Christmas, we would love to see it. Send us photos, post them to our Flickr group or use our #sassafraslane hashtag on Instagram. Happy Sewing!